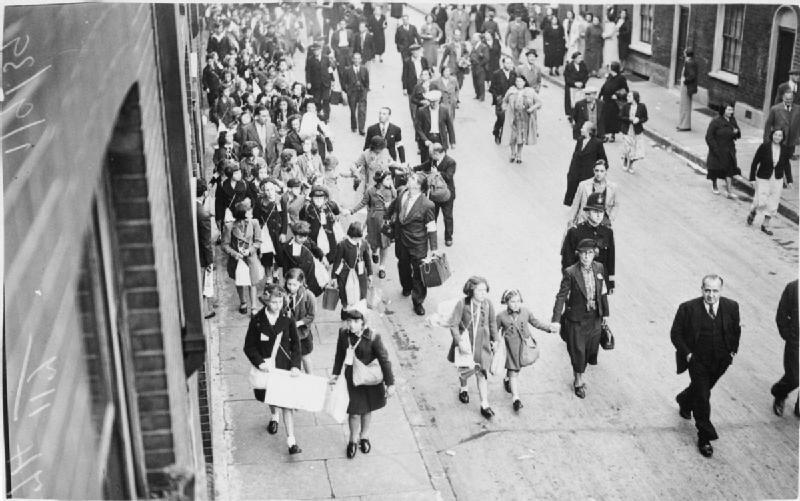 In our next entry, news has come that preparations are being made for evacuees from Glasgow to stay at Rednock estate. 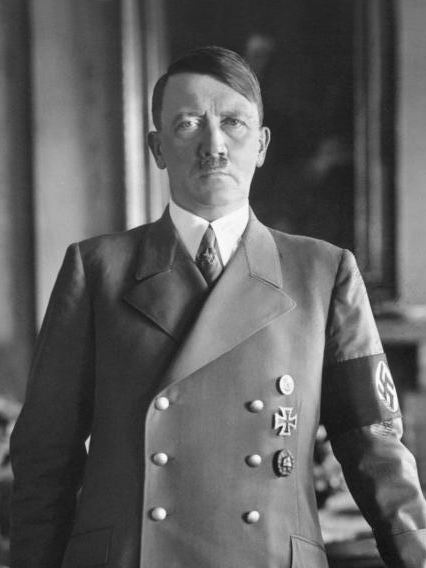 We also see out first mention of Adolf Hitler but we will cover him at a later date. The entry begins with Thomas again bemoaning press coverage. 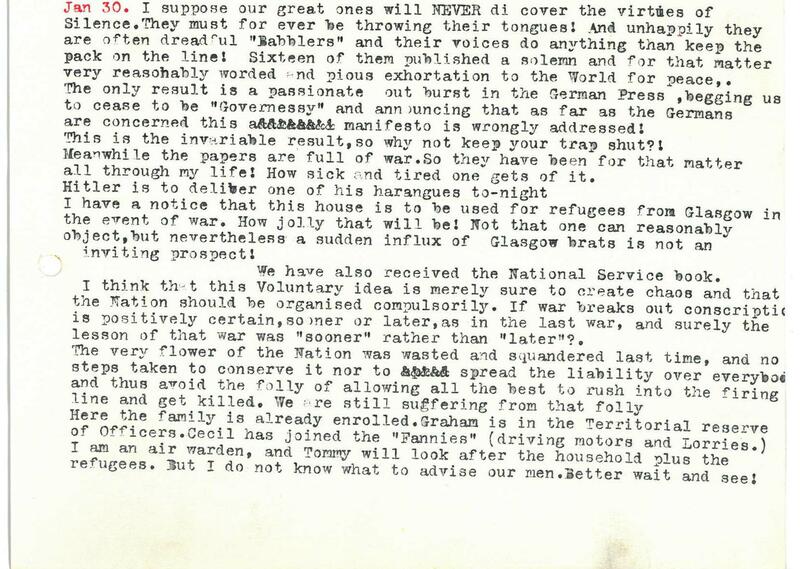 We also see our first mention of Adolf Hitler as Thomas writes that he is to ‘deliver one of his harangues tonight’. At this point in 1939, Hitler was preparing for the German invasion of Czechoslovakia which would take place in March 1939. This lead to the creation of the Government Evacuation Scheme in 1938. In early 1939, the Department of Health for Scotland began to prepare details for evacuation in what would be an extreme logistical challenge for the country. Rural communities were identified as excellent locations for evacuees and Rednock Estate fitted this bill perfectly. 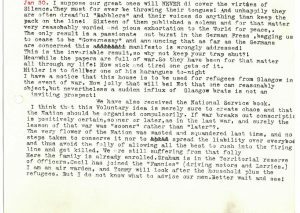 Thomas Graham writes that he had received ‘notice that this house is to be used for refugees from Glasgow in the outbreak of war’. 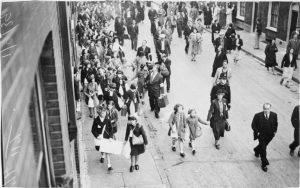 The prospect of this did not go down well with Thomas, sarcastically noting ‘How jolly that will be!’ His opinion, however, would change when the evacuees did arrive later in the year. The entry also reveals that Thomas had received his national service book and the rolls that his family have taken up. 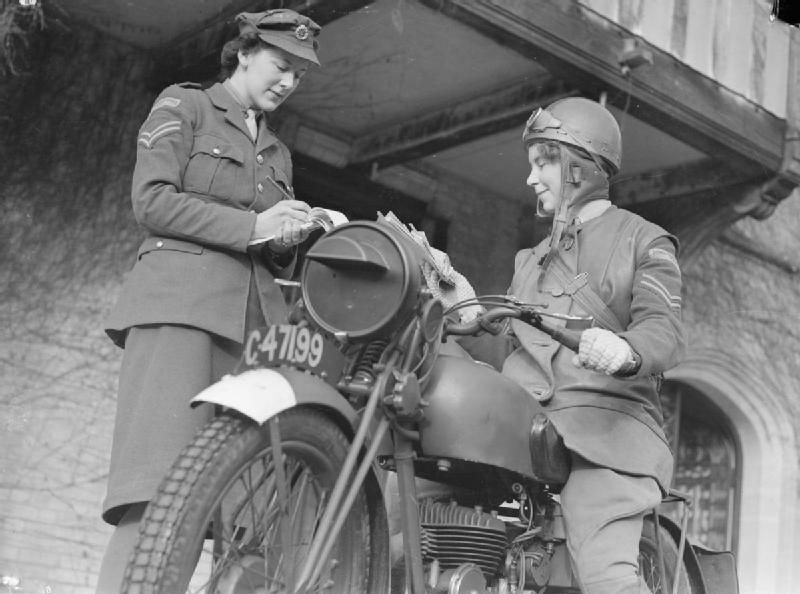 Graham had joined the Territorial Reserve of Officers, Ceciil had joined the FANYS driving lorries (https://www.fany.org.uk/history), Violet was to look after the refugees and Thomas himself had enrolled as an air warden.